← Putting Theories to the Test: Does Slow Tempo Aid NCAA Tournament Upsets? Will Peyton and the Colts be in Dallas for Super Bowl 45 next year? The Raiders lost Super Bowl XXXVII after winning 11 games during the regular season. The next year, they won 5 games, setting in motion events that led to the return of Art Shell, the Lane Kiffin experiment, and the (ongoing) JaMarcus Russell era. Is there evidence that losing the Super Bowl can be devastating for a franchise? USA Today recently (I need a straw man, okay?) ran an article sure to discourage Colts fans. They examine the 13 Super Bowl losers from 1993-2006 and determine that only 6/13 made the playoffs in the subsequent season and none advanced past the divisional round. This all sounds pretty dire, but what does it mean for the Colts? Is there a curse on the Super Bowl loser? Let’s examine the numbers. Looking at the winners and losers of the first Super Bowls, it appears the both winners and losers make the playoffs in the following season at a similar rate. Two more Super Bowl winners have returned to the playoffs than losers, but the difference is not statistically significant. Furthermore, when we consider how the teams perform in the regular season compared to their previous season, we actually see that the losers more frequently improve. Of course, part of the reason for this fact is that Super Bowl winners have better regular season records on average. There is lots of reversion to the mean for both winners and losers. Looking at the years 1970-2008, we see that the Super Bowl winners have had stronger regular season records than the losers and the gap is of equal magnitude in the next season. *My data started in 1970 and did not include this season’s results. So both teams win 2.1 fewer games on average, however, the winners are .9 better to start. It appears the winning or losing the Super Bowl does not predict next year’s success once we control for wins in the previous year. A slightly more rigorous analysis incorporating multiple regression provides similar results. Once we control for previous year winning percentage or better yet, scoring ratio, winning/losing the Super Bowl has no significant predictive power for the next regular season winning percentage (.03, p=.31 for winner dummy; .01 p=.69 for loser dummy; i.e. not significant). However, my straw man may have a bit of a point. Since 1993, 8/17 losers have made the playoffs while 12/17 winners have returned to the playoffs. Additionally, 14 of the losers got worse and only one improved. 11 winners won fewer games after winning the Super Bowl and three improved. Still, the Colts should not worry about a Raiders-like tailspin. There are notable stories of post-Super Bowl loss struggles, but losing the Super Bowl has not negatively impacted a team’s chance of success in the subsequent regular season in a statistically significant way (5% level…or even 10%). As for the playoffs…we’ll look at that next time. Thanks to Dan Yamins for his help with data collection. Also, thanks to Cade Massey and Richard Thaler for (tacitly) allowing me to use the title of their fantastic paper, The Loser’s Curse, which deals with the NFL draft. Definitely worth a read. This entry was posted in NFL Football and tagged colts, Data, Football, NFL Football, Regression, saints, super bowl. Bookmark the permalink. 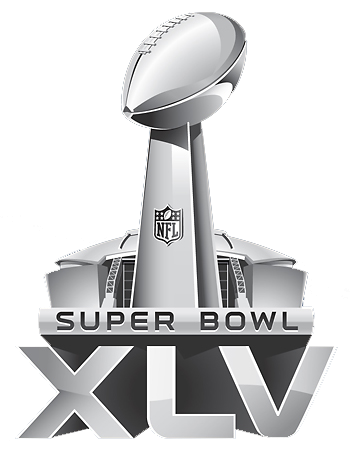 Consider how often teams mortgage the future to build a Superbowl team. The Saints are a great example, with 29 (!) players at risk/free agents in 2010. Thus it’s not surprising that these teams often decline the following year. The ultimate example is the baseball Marlins, who won the world series twice but then reverted to a very low mean after each championship. GM Larry Beinfest (a very smart guy with whom I’ve worked) maximized a minimal set of resources (dollars) each time to create a strong-for-a-season team. In football, free agency works a bit differently, and so you get a run up to top-level play over a period of years. But after the top year, you wind up with a bunch of folks in free agency. So you either overpay them and cripple your future (cf. the Seahawks and Shawn Alexander) or you don’t pay them and let them walk and rebuild. Sometimes (cf. Bill Belichek) you can make it work repeatedly, but most teams fail. Hey–do your homework on these FA’s. Most are restricted; the only 2 UFA starters are S Darren Sharper & OLB Scott Fujita. #2–some of the other UFA’s are a couple of TE’s that were signed on 1 yr. minimum deals because Billy Miller went down before the season. Another is Mark Brunell (38! yrs old). It’s not like the Saints are worried about losing these guys. Yes, they have some significant RFA’s–Pierre Thomas, LT Jamall Brown, G Jahri Evans, WR Lance Moore, and others. However, you can bet, that because of the (extremely probable) uncapped year, GM Loomis will front-load some contracts, and I am sure the front office (as well as the FO’s of other teams) will be trying to resign these guys ASAP–before other teams can try to sign them or use a poison pill type contract. My feeling is that many teams will be tendering their RFA’s at higher levels than normal to keep them–and they will have no problem doing that because of the uncapped year. A comment on Free Agency/mortgaging the future: In baseball/basketball/hockey this could be true, as each has an in-season trade deadline that sparks many moves as contenders try to pick up pieces to put them over the top. Football does not work this way, for many reasons, including the depth of the playbook and salary cap issues. Football has significantly less “mortgaging the future” then any of the other sports. Another reason for the recent decline in Super Bowl losers missing the playoffs is the addition of the Wild Card. The addition of teams with lower records to start with (usually around .500) would mean less teams would make the playoffs the next year. If you subtract two wins from the Wild Card teams then their record would usually be between 6-10 and 8-8 the next season. And over the past decade or so, more and more Wild Card teams have been making it to the Super Bowl. I think this plays a larger role than the Free Agency that others brought up. give many thanks yet again considering the great tips you have contributed on this site. get some bucks for themselves, especially since you could possibly have tried it if you considered necessary. my very own to figure out many more in regard to this matter. for people who examine your website.